Every tourist in Cebu who are looking for affordable meals and those who would want to try out the delectable local Cebuano cuisine will surely encounter PUSO, Cebu’s hanging rice. Puso is steamed rice cooked in contaners made from coconut leaves. It is a popular way of serving rice especially in places like in Larsian and different pungko punko stalls. The design of the puso makes it possible to eat a meal while standing or even walking without using any utensils like plates, spoon and fork. You just have to pry the puso open via a slit at the center and munch on the rice inside. It is not clear where the puso originated. Though it is popular in Cebu,puso can also be found in other provinces in the Visayas and Mindanao. Puso got it’s monicker “Hanging Rice” for you can see a bunch of them hanging at a corner inside some Cebu restaurants or at a pole of different food carts. With the Cebuanos fascination with the term “ I love Cebu” or “I heart Cebu” many entrepreneurs now make souvenir Cebu T-Shirts using the picture of the Puso as the replacement of the red heart, thus the term “The Heart of Cebu”. Puso is ideal for quick lunch breaks or snacks. This is perfect for meals on the go for you can hold the puso in one hand and your ulam or viand ( usually pork bbq or other grilled or deep fried items) on the other hand, and eat your meal even when you are walking. Many popular Cebu food destinations like Larsian ( a popular bbq place in Cebu City) Tisa ( home of the famous Siomai sa Tisa) and Matias BBQ serves Puso instead of the traditional seamed rice for their customers. Puso is sold at 3 pesos per piece An average person can eat 3 to 5 puso per meal. Most restaurants and food stalls which serves Puso gives cellophane gloves or bags to their customers to keep their hands clean. Usually they will place a plate full of Puso in your table ( about 10 to 12 pieces and the waiter will just count the number of puso that you’ ve eaten. You don’t have to worry about what’s left for these will not be counted for your bill. Puso with Siomai sa Tisa: the Best Bai!!!! 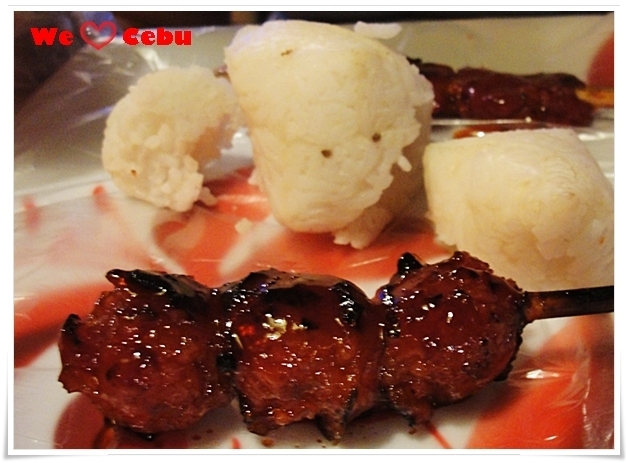 Puso is best eaten with Lechon Cebu, pork bbq, Siomai sa Tisa, Ngohiong and grilled Cebu Chorizo. It also goes well with ‘pungko-pungko” items like fried chicken,pork chop, lumpiang shanghai and others. 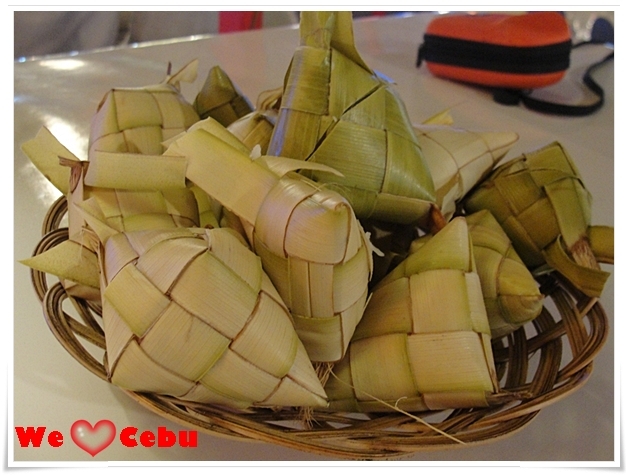 Definitely, no Cebu Food Trip is complete without the Puso. Cebu’s Hanging Rice!!! 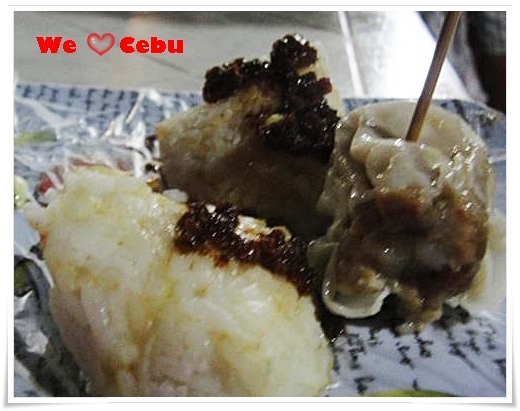 Please Like the We LOVE CEBU Facebook Page for more Cebu Food adventures and restaurant reviews!! !